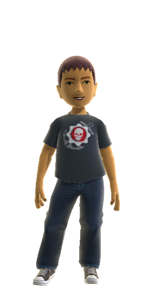 To this day, can't say I've decided on which console to go with. Playing games on a PlayStation 4 will cost a lot of money in Brazil — the PS4 will sell for 3,999 Brazilian reais (approximately $1,852), Sony announced today on the Brazilian PlayStation Blog. The console will be available in Brazil on Nov. 29, the same day as in Europe. Sony's suggested retail price for PS4 games is 179 reais ($83). For comparison, the console will go for $399 in North America, £349 in the U.K. and €399 in Europe. That cost appears to be a significant outlay even for professionals in Brazil. According to data from 2007, the median annual salary for jobs such as dentist, chemical engineer, lawyer and architect was at or below 40,000 reais, which means the PS4 would cost 10 percent of their yearly income. Blimey and we think we've got it bad in the UK! Sony is selling the console for $6500 (that's Pesos). Which translates, roughly, to around USD$1100. We have read thousands of your comments and heard your frustration loud and clear about the PlayStation 4 retail price of R$3,999 in Brazil. We want to emphasize that it isn’t in the interest of Sony Computer Entertainment America to sell PS4 units at this high retail price, as it’s not good for our gamers and it’s not good for the PlayStation brand. We have always maintained an open and honest dialogue with PlayStation Nation in Brazil, we want to be fully transparent as to what makes up this price, so gamers can be fully informed and make their own conclusion. 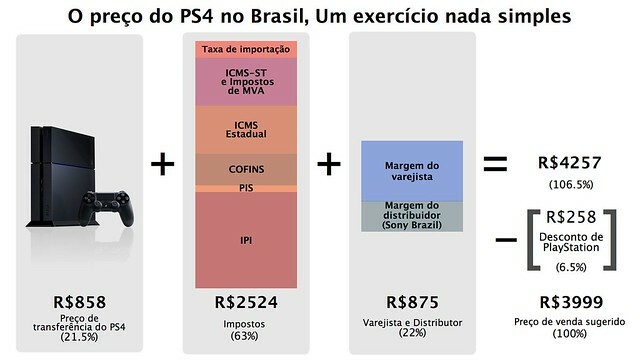 There is a lot of confusion and inaccurate information spreading online about Brazil’s import tax policies online and the PlayStation 4 retail price, so we’d like to set the record straight: of the R$3,999 gamers pay, 63% of the retail price goes to offset the various taxes that are applied in the process of importation. Some do not consider the IPI on the distributor price and PIS/COFINS on retailers price and much less, include the ICMS and ICMS-ST taxes. You can see a true breakdown of the price model at Valor Economico http://www.valor.com.br/empresas/33111.... 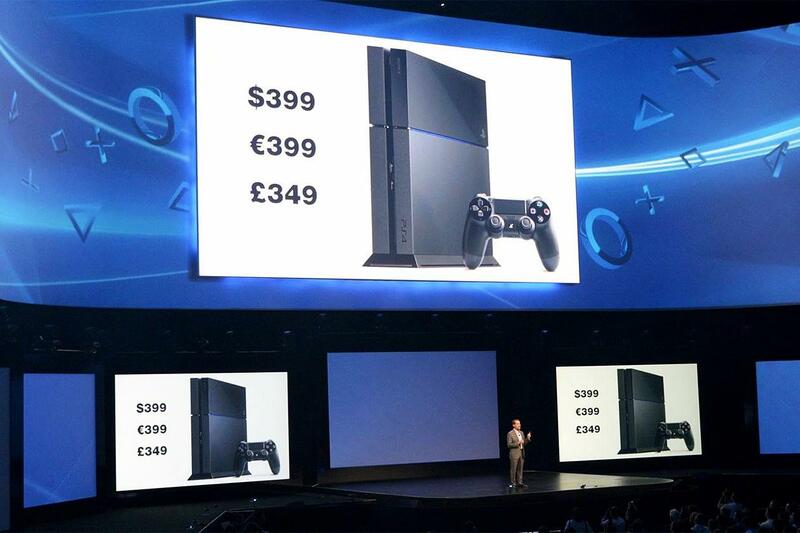 The other 15.5% goes to retailer margin and 21.5% to PS4 Transfer Price (equivalent to USD$390). We will continue to talk with the relevant government agencies to help us reduce the heavy tax burden that gamers, retailers and Sony Computer Entertainment America are paying. Our primary focus right now is to ensure we are in full compliance with Brazilian import tax laws and look ahead the opportunity to locally manufacturing the PS4, which will significantly reduce the retail price. Sony Computer Entertainment began locally manufacturing PlayStation 3 in Manaus this past May and it immediately made PS3 more affordable to gamers in Brazil. PlayStation is fully committed to Brazilian gamers and we are proud of the strong relationship we’ve been able to build over the years. We are doing everything possible at this moment to reduce the PS4 price for you. Thank you for your thousands of passionate comments...we are in this together! This Sunday, November 10, GameStop will hold a pre-launch PS4 event where customers can trade in pre-owned hardware, software or other consumer electronics for extra credit toward the PlayStation 4, games and accessories. Let's stress this point: The extra credit can only be applied to PS4 related items. "This allows consumers the ability to purchase a PS4 at a more affordable price, making it more accessible for gaming fans," said Darron Nielsen, senior merchant of GameStop. We don't fault you for imagining a senior merchant wearing a big, feathery admiral hat. All "eligible" (so, make sure to call ahead) GameStop stores will stay open November 14 for the console's launch at midnight. Obviously, you'll have to pre-order.